The Franklin County Emergency Communications System Oversight Committee has created a Radio System Trouble Ticket to alert the system manager of issues with the system. See the Committee’s webpage for more details. 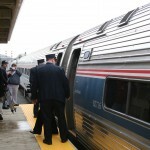 Interested in taking the train from Greenfield? 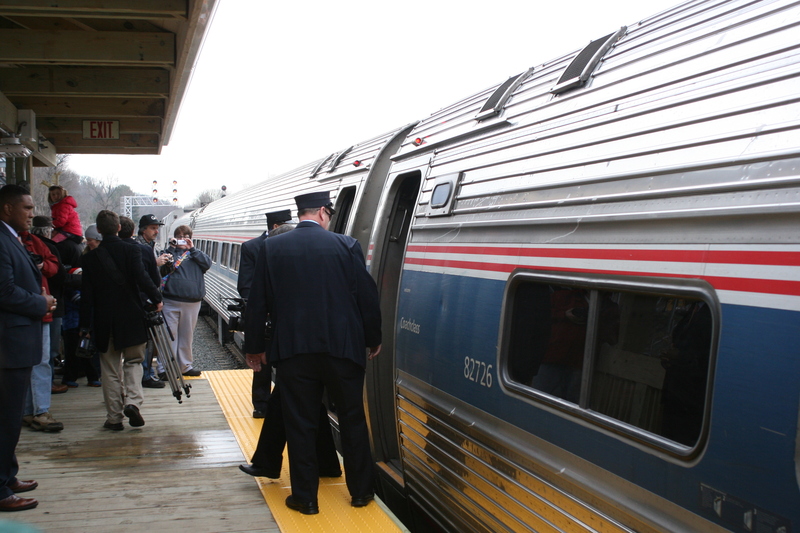 Click here for a link to Amtrak’s Vermonter schedule and ticketing. Need parking overnight? Visit Greenfield Town Hall at 14 Court Square for an overnight parking pass. FRCOG’s Citizen Corps Program provided two volunteers from the Medical Reserve Corps (MRC) program to the Montague Parks and Recreations’ 2015 SawMill River 5K Race on January 1st in Montague Center. 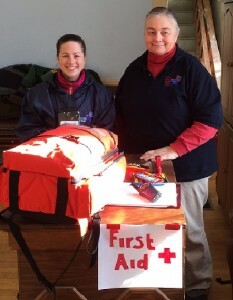 MRC volunteers Jeanne Dodge, a certified first responder and former EMT, and Erin McNay, a registered nurse, covered the first aid table at the event. Citizen Corps Coordinator, Robert Quinn-O’Connor (not pictured) ,was also at the event providing logistical support to the MRC volunteers.